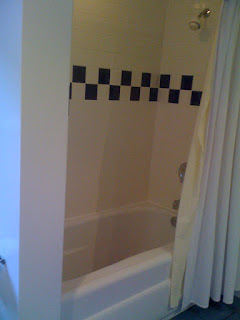 Did I mention that a bathroom renovation is on the horizon - less than a month away. 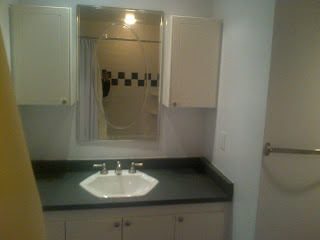 Here's some real before pics - i.e., not staged. This is the view as you enter. There's the chimney on the right. Because of it the entrance is ~ 27 inches which is a few inches smaller than the standard doorway. 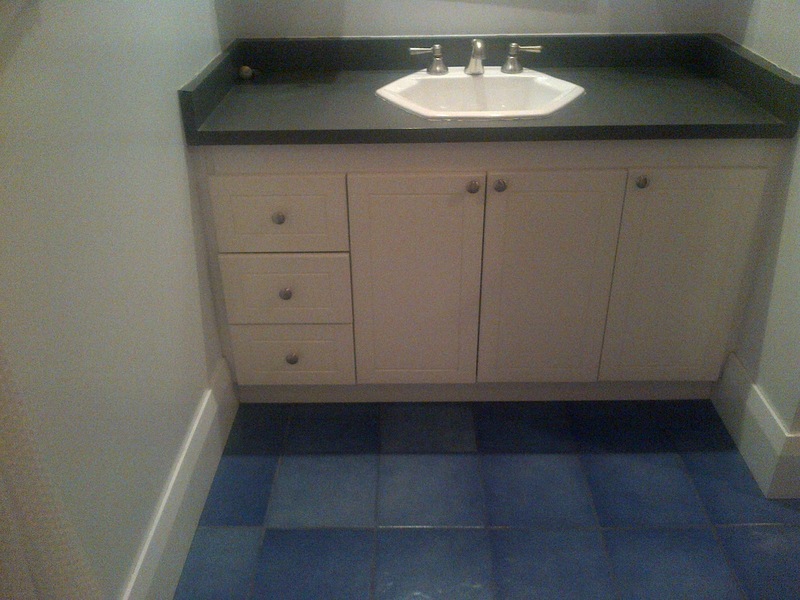 That thing next to the toilet is electric heat. Turn it on when using the toilet and be prepared to be roasted! 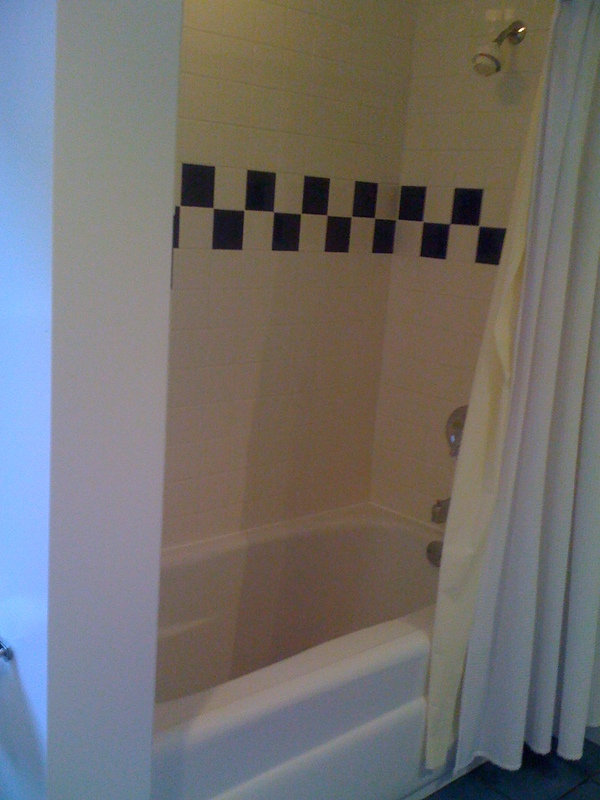 There is a rather cool window betwen the toilet and the tub. 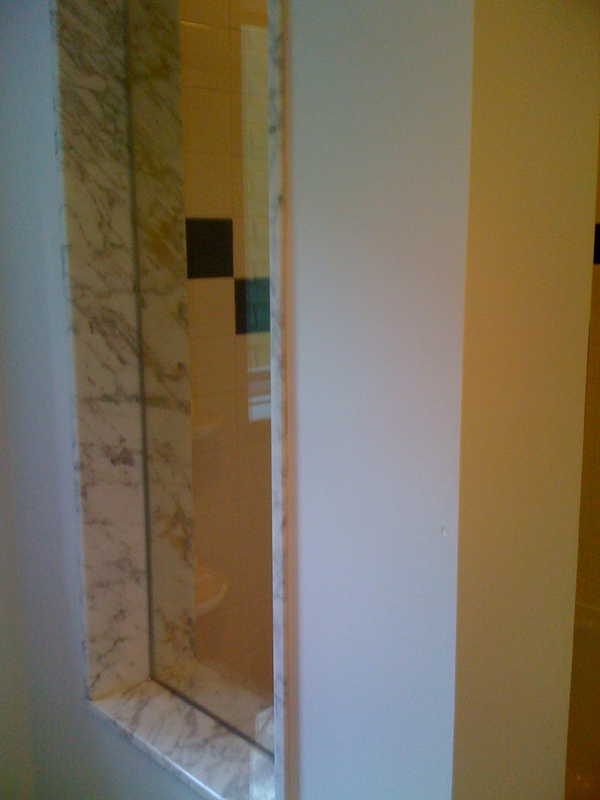 And then across from the tub is the vanity and the beloved chimney. 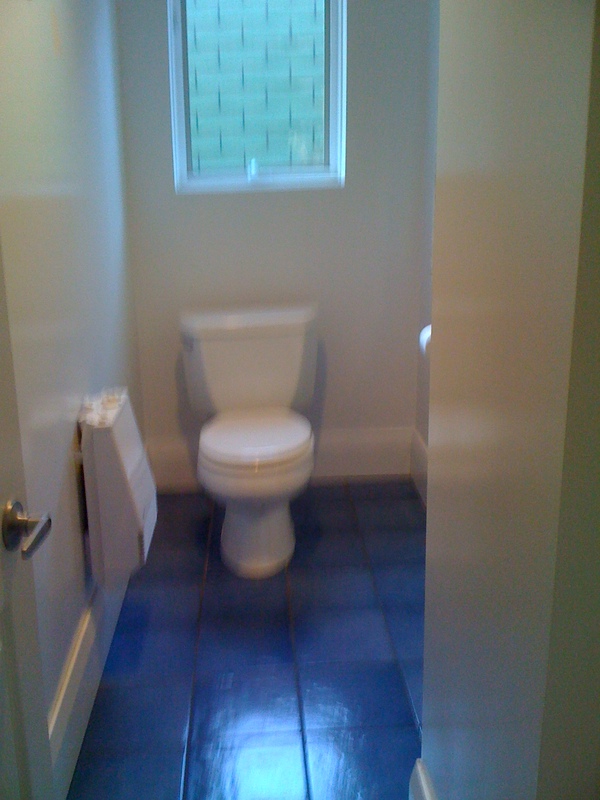 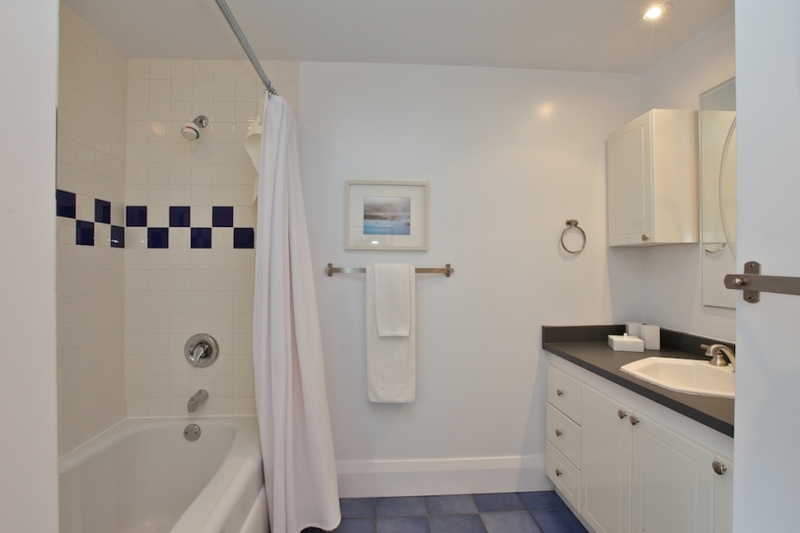 So if this was your washroom what would you change in the reno? 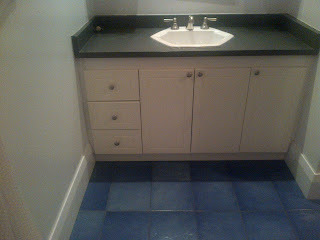 - New tiles around the tub?